The last fight between a pragmatist and a progressive is one that Hillary Clinton’s campaign wants to avoid repeating. That would be the 2013 Democratic mayoral primary, in which a well-known, effective dealmaker — then-City Council Speaker Christine C. Quinn — led polls for months, before losing to a persistent legislator-turned-public advocate, now-Mayor Bill de Blasio. The pragmatic centrist who campaigned on getting things done lost to the progressive with ambitious (many said pie-in-the-sky) ideas. In an election in which many voters demanded change, the woman with widespread name recognition and an accomplished career lost to the man with exciting ideas. At first, the 2013 primary seemed like it might be close to a coronation for Quinn. She had climbed the ranks of the City Council to become the first female and first openly gay speaker, earning a reputation as a negotiator who could work with then-popular Mayor Michael Bloomberg. This writer worked as an intern at the City Council when Quinn was a speaker. She had the support of editorial boards and unions, and the mayor himself. This association eventually turned on her. Quinn helped Bloomberg change city rules to gain a third term. When Bloomberg’s mayoralty began to feel like a host keeping guests too long at his never-ending party, this tactical political choice began to look like a potential liability. Still, as a potentially historic race began her citywide name recognition helped give her a commanding lead in early polls. She graced the cover of New York Magazine. She planned to run a campaign emphasizing her history of getting things done. But things started getting tighter in the summer before the election. Anthony Weiner, of sexting fame, made a brief entry into the race, bashing the Bloomberg years and Quinn. By the time he’d faded out in further scandal, there was room for other candidates to take their shots. De Blasio caught fire late in the race. An emotional commercial portrayed the de Blasio family’s personal experience with race relations and the impact of NYPD’s stop-and-frisk. 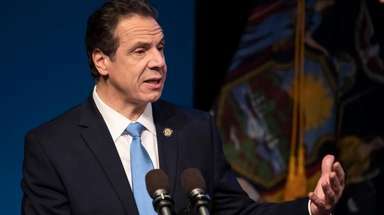 And his “tale of two cities” campaign rhetoric focusing on income inequality and reversing the direction in which the city was heading appealed to voters tired of Bloomberg, the billionaire mayor turning the city into a nanny state amidst a serious recession. When the votes were counted, Quinn came in a distant third, some 25 points behind de Blasio. There are key differences between that primary and this one, of course, including expected turnout. While Clinton has closely associated herself with President Barack Obama, the commander in chief is far more popular than Bloomberg was, "change" election or not. Clinton is running not only as the person who gets things done, but also as the pragmatic progressive who does. Sen. Bernie Sanders has certainly pulled her inexorably and often convincingly leftward. But the race shows many of the challenges that a woman continues to face in electoral politics, even in oh so liberal New York City. Plenty of voters righteously pointed to the ideological distance between Quinn’s centrism and de Blasio’s progressivism. But this in itself is subtly rooted in gender — though some radical, outsider women have had electoral success (Sen. Elizabeth Warren, for example), fewer have ascended to high-level executive positions, where the accusation of lack of experience has been more damning than for a man. The surer path leads through the system, gathering power and experience. That demands pragmatism. Someday, we might live in a world where the ultimate glass ceilings in the White House and city halls around the country will have been broken, and we won’t have the embarrassment of never having installed a representative of 50 percent of the population. But, once again, many people are finding a reason not to vote for the woman.